In partnership with the UCLA Business of Science Center (BSC) and with support from VentureWell, this Designmatters studio challenged ArtCenter students to take advantage of groundbreaking technology advancements to conceive, design and prototype innovative products that would improve the quality of life across a broad spectrum of human health and well-being issues. Taking advantage of groundbreaking advancements in scientific technologies, interdisciplinary ArtCenter students conceived, designed and prototyped innovative products to improve the quality of life across a broad spectrum of human health and well-being issues. Student teams focused on: educational applications of nanotechnology; a rollator redesign to optimally assist the physically disabled; employing neuromodulation technology to promote effective regeneration from spinal cord injuries; harnessing EEG technology for improved mental focus; and engaging EEG technology into a system of shared research platforms with the goal of better understanding brain functions. 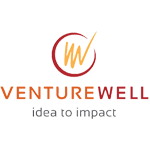 VentureWell cultivates inventors, innovators and entrepreneurs to address the world’s biggest challenges and create a lasting impact. This year, ArtCenter Product and Interaction instructor Jeff Higashi was awarded one of only 15 faculty grants nationwide by VentureWell to encourage design student innovators to employ pioneering technologies to create solutions for today’s health challenges. The fund helps pioneer new ways to challenge students to develop STEM-based ideas and gain entrepreneurial skills needed to bring products to market. Interdisciplinary students were assigned into five teams to work on a specific challenge, noting the sensitive intellectual property (IP) nature of some of the research projects. Collaborating as a team, students mimicked how a consulting firm or an internal design department at a small startup would interact and cooperate. 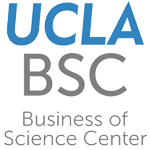 Each student team had access to off-campus experts as related to its particular topic; most teams partnered with a UCLA research scientist. The team’s focus was to develop technologies for the consumer, medical or research sectors; most challenges involved designing wearables with quantifiable metrics and qualities aspects to assess and assist human well-being. Students would consider how best to integrate sensing and numerical data into a holistic product that would offer invaluable help and/or vital insights to the user. To that end, students discovered why some promising technology-based products – even those that proved effective at collecting data – were not embraced by consumers; these products often did not consider the user’s overall needs. In cultivating their concepts, students also needed to consider business objectives, launch timing/scope and capital investment that would be required for their products. After receiving their challenge, teams brainstormed 50 ideas relating to their technology and then pared concepts down to 10 and then to Three Big Ideas which they presented to their research partners at the studio kick-off. This initial discussion/presentation gave the students immediate feedback on conceptual ideation and helped them examine and re-align goals to continue moving forward. Teams were invited to visit researchers’ labs, gather field research and immerse themselves in the associated technology so as to become laymen experts. Overall, the scientific technology reached across a wide spectrum and involved students learning details about other fields including physics, education, computer science, physical therapy and more. While the scientific research limitations often put boundaries on students’ design-thinking, they also presented teams with a framework on how to effectively deploy the technology to target audiences. Teams continued to refine their concepts, relating ideation back to the goals of merging technology with human/user needs. To gain an empathetic understanding of the science, students watched tutorials on how their assigned technology is currently being visualized which sparked ideas and new possibilities. Teams worked on prototypes, experimented with materials, researched supportive technology and developed user scenarios which often included how involved stakeholders are integral to the product’s usability and viability. Additionally, teams crafted Mood Image Boards and, in some cases, tested concepts on users for feedback. Teams analyzed products currently on the market related to their technology and user goals; they examined how these products are being used, their successes and limitations, and conceived ways the advanced research can present a new benchmark in the technological lifespan. Often times, students realized that their product needed to be modular, customizable and easily scalable, presenting users with simple understanding and direction on how to quickly and easily engage with the technology. At the midterm, teams once again made presentations to their partners –honest critiques that provided them with a clearer directional focus and helped them honed their target audiences and requirements for interactions. Some teams addressed potential marketing applications for their products. Armed with new feedback, teams once again refined their prototypes as they continued to research materials, experiment with models and rely on one another’s strengths for an effective team experience. Coupled with software applications, these two physical devices use an electrode pad and a neuromodulation transmitter to help paralyzed patients regain mobility in a rehabilitation setting. Placed directly on the patient’s spine, the electrode pad is lightweight, physically invisible and easily adaptable to individual needs. A physical therapist initially adds or subtracts the necessary electrodes for the specific patient and sets the modes for the exercise series – which are color coded – on the accompanying software app. Connected to the patient via a belt, the small transmitter receives the software information and activates the electrodes which stimulate the patient’s nervous system for movement. After PT sessions, the technician and doctors can access the data to chart and consider the next round and long-term physical activity plans for their patients. This wearable learning device targeted for use in schools utilizes advancements in EEG research to present teachers with detailed analysis of students’ brain activity to help young learners achieve optimal mental focus in the classroom. The two-device system consists of a lightweight personalized headset that employs EEG electrodes wore by students and an Echo-type smart hub used by the instructor to monitor – via Bluetooth – student brain activity during in-class discussions, lectures and group work. As the teacher engages the class, s/he can watch how students are reacting to the subject and presentation based on their brain wave patterns – are they attentive or bored? When students leave the classroom and place their headsets back on a charging rod, the teacher can upload class data for deeper mental focus insights. The interface display offers numerous options for tailoring curriculum based on how students historically learn and their current state of mind. In addition to teachers having access to the aggregate data, parents can also watch how their children are responding to the workload and class subjects. Scope consists of EEG hardware and software that will benefit field and clinical brain researchers. Test subjects will agree to wear a customized form-fitting beanie-type cap that contains 360+ electrodes to monitor their daily brain wave activity. Additionally, the subject’s vital body statistics are also recorded in real-time along with a body camera. Collected large-scale data from test subjects will be integrated into software that will be easily sharable among clinical researchers. Data can be analyzed in a variety of subjects to see correlations between certain brain functions (i.e. seizures) and life happenings (stress levels, etc.). The software display allows various researchers to use and analyze the data and share findings with one another in a collaborative group system. The wearable hat can be branded to encourage other test subjects to participate in the studies. The messaging, inspired by space exploration, positions brain studies as an exciting unknown and invites people to become astronauts of the brain. A physical device to improve on today’s “one size fits all” walker designs, this product combines function and performance with portability and aesthetics to combat the typical social stigma associated with rollators. The walker also addresses many complaints about the current products that are perceived as clunky and often noisy with unstable brakes and transportability issues. Team members engaged in ethnographic interviews with users and caregivers at Rancho Los Amigos and used a walker themselves for a week to better understand the constraints of the current walker. Designed to assist the upcoming aging population that even with mobility issues will want to continue an active lifestyle, this sleek walker features a larger front wheel size that allows for smoother movement over rough terrain. Customizable for size, color and graphics, the walker also includes redesigned ergonomic handles with assistance braking, a 3D printed pattern for shock absorption, and rear disc brakes with a pressure sensor. With a simple one-push-button system, the walker is easily folded into a compact shape that meets the size requirements for carry-on luggage on commercial airlines. Nanoteer inspires the next generation of nanoscientists by showcasing current translational advances in cancer therapy pioneered by UCLA researchers Dean Ho, Theodore Kee, and Darron Miya, on topics encompassing nanodiamond-mediated therapies and augmented artificial intelligence (A.I.). Uniquely, this team led by Ho has taken nanodiamonds into clinical trials, allowing Nanoteer to provide insight into the most current breakthroughs in nanomedicine. Featuring Nanodiamond Nora and Neal, characters created through a comic book series developed by Ho, Kee and Miya, this educational platform combines the hands-on elements of nanotechnology and nanomedicine synthesis with the thrilling action of battling cancer or “bad” cells. With a target audience of 10-year-olds, the educational platform combines aspects of a video game and science lab set. The immersive experience is accessed using an iPad, which can be held and rotated during gameplay, a lab set pad, and two pipette-like controllers mimicking the tools and equipment used by researchers in the lab synthesizing the therapies targeting specific cancer cells. The application will display actual cancer cells and simplified A.I. concepts used to optimize therapy combinations for cancer treatment. During the course of the game, the player must discover and assess the type of cancer or ailment the patient has, strategically calibrate a specific medicine to administer using the pipette controller, and deliver the medicine in a battle-like mode, rotating the iPad to navigate toward target cancer cells in fast-action movements. In addition to today’s youth, the game also aims to appeal toward parents, grandparents, and teachers who wish to encourage scientific thinking in an engaging and innovative platform. For children, shedding light on both the etiology as well as the treatment for various diseases and ailments can be the first step in future prevention. In addition, this platform has the chance to initiate and inspire potential careers in medical research and health sciences.